Great Home in Super Location! Convenient to hospital, downtown and easy access to highway 59. The spacious updated home has large kitchen with tile back splash. Two open living areas with built-ins and tile flooring. Large laundry room with plenty of storage. Walk-in tiled shower in master and spacious hall bath with soaker tub! 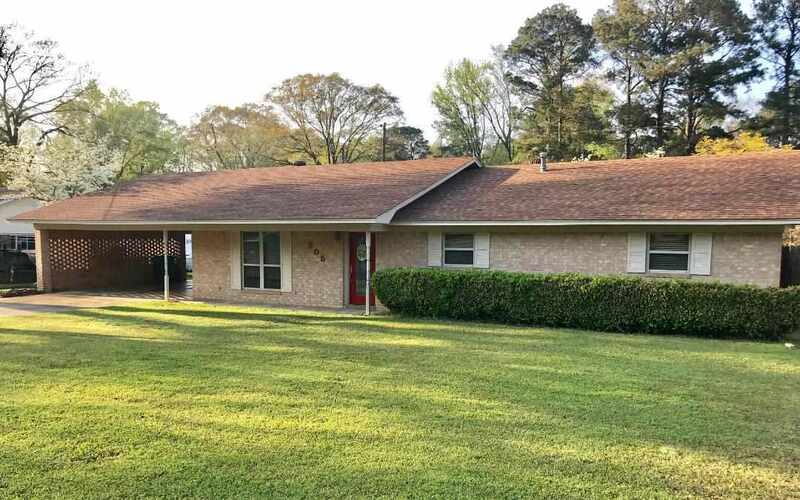 Vinyl windows, double carport with large storage room and fenced yard complete this move-in ready home. All kitchen appliances and Washer and Dryer stay with home. Don&apos;t miss out! Call for showing soon!